Avoid forbidding foods: Research demonstrates that forbidding or restricting a food (any food) makes it more appealing. So telling a child they can't have something or that certain foods are reserved only for treats or special occasions can make them more desirable. Have conversations about variety. If your child is always asking for biscuits it’s ok to allow them a biscuit if it’s an appropriate meal or snack time according to your usual routine. However if your child asks for 2 or 3 more biscuits, try to initiate a conversation about variety and importance of eating lots of different foods to keep us healthy. It’s not OK to eat a whole packet of biscuits just as it’s not OK to eat a whole bag of apples. Create a level playing field with foods. No foods should be referred to as bad, naughty, sinful or cheats – this can induce feelings of guilt when we eat them. Instead talk about all foods as if they are a useful and enjoyable part of the diet. Going nuts over having an ice cream but turning a blind eye if they eat a satsuma just makes the ice cream appear to be much more exciting food. Don’t ignore the public health messages – I’m aware that we didn’t get a chance to discuss this on the podcast but that’s not to say they should be forgotten about. We know that too many children are starting primary school already overweight or obese and a shocking number of children are suffering with tooth decay as a result of eating and drinking too many sugary foods and drinks. Allowing children to graze on biscuits and sweets to their hearts content is not what we mean when we say eat intuitively. The message is more about enlisting some trust in your child that they will listen to their natural satiety cues and stop when they are full (providing we haven’t coached them to ignore these signs with our ‘one more mouthful’ chat). We just need to guide them on the variety message until they are old enough to grasp the importance of that themselves. If you want to hear more do go and check out the podcast – it’s a long one but hopefully a useful one too. If you want to know more about intuitive eating then Laura's your girl - that's totally her bag so go check out her page. If you want to know more about infant, maternal and paediatric nutrition then please give me a shout I’d be happy to continue the conversation. Hello I am wondering at what age you think it is appropriate to introduce foods with added sugar in to a child’s diet? I have a daughter who is about to turn one. We started her on solids at 6 months and have always let her feed herself (BLW) and never coerce her to eat anything. We all eat the same food at meal times and we just cook everything without added salt and sugar. She loves her food, and there’s not anything she dislikes to eat so far. We were planning on not introducing added sugar into her diet until at least three years old as per the NHS recommendations, but also because we had thought that would mean she got used to not having added sweetners in her diet so would be healthier in the long run (I had five fillings in my milk teeth so am extra concerned about too much sugar). Now having listened to the podcast with Laura and read your blog we are confused as to what to do. Our key concern is that our daughter grows up with a healthy relationship to all foods. Any advice would be very welcome. Thank you! Thanks for your comment. It sounds like you have created some great foundations for a healthy diet for your little one and it’s great to hear that she is enjoying her food. 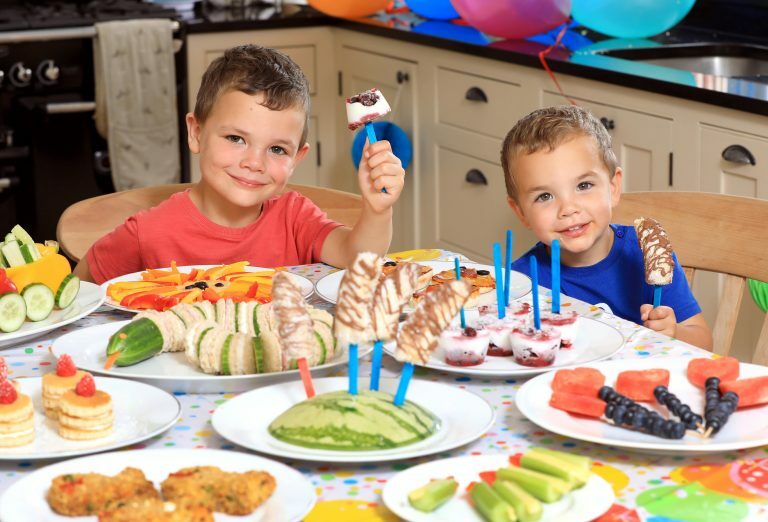 When they are young it’s often easier to limit the exposure to foods with added sugar/salt such as sweets, cakes, biscuits, crisps, chocolate etc, and I would certainly encourage this as much as possible during the weaning stages. As they grow older, gain more awareness of these foods and can ask for foods when exposed to them, the messages you’ve heard in the podcast become more important. If they’re not exposed to sweet foods and aren’t aware of them, as is usually the case with infants (depending on family lifetsyle, sibling influence etc), you don’t need to worry so much about the intuiative eating style. I hope that makes sense. If you have further questions or need more clarity please do get in touch again. I’d be happy to chat through this topic with you in more detail.